European municipalities can apply for a voucher to set up free WiFi networks in public spaces. With a call budget of EUR 51 million, the European Commission will distribute 3,400 vouchers across European cities on a first come, first served basis. The call opens on 4 April, 13 CEST and will close on 5 April, 17 CEST. 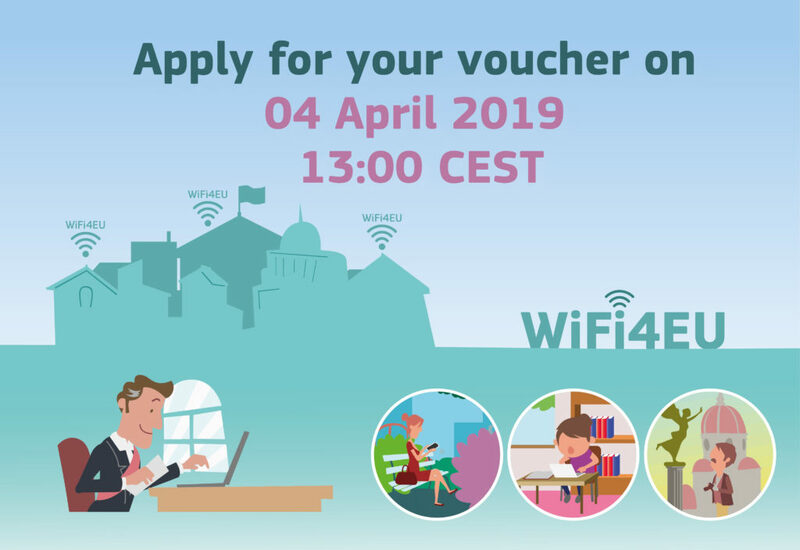 In order to be able to apply for one of the vouchers worth €15,000, municipalities need to register on the WIFi4EU Portal before the call. The first WiFi4EU call, which took place in November 2018, was hugely successful. Over 13,000 municipalities have applied from across Europe for 2,800 vouchers.